Have you heard of compounds called “ketones”? If so, it was probably due to their controversial nature. In fact, many believe these compounds to be dangerous and unhealthy. But as you are about to discover, ketones can be nothing short of ”miraculous” for the health of your brain and even reversing Alzheimer’s disease. These compounds were popularized by Dr. Robert Atkins in the 1990’s for their profound effects on weight loss. And while ketones do have an impressive ability to help your body torch through fat, these molecules have been maligned by modern medicine. This is due to a state of extreme ketones in the blood, called “ketoacidosis.” The truth is that this while this condition is dangerous, it is extremely rare and only occurs in Type 1 diabetics who are not regulating their insulin levels properly. For the rest of us, ketones are a very, very good thing. But what are ketones anyway? When glucose reserves are low, your body takes action to create the fuel it needs to power the brain, organs and muscles. One way this happens is by converting protein to sugar – a process called gluconeogenesis. Alternately, when lower amounts of protein are available, fats are converted to ketones, through a process called ketosis. These molecules act as a stand-in for some of the sugar required by the brain. The result of ketosis is a state of fat burning that preserves muscle mass and powers our body with a clean source of fuel. But what makes ketones clean fuel? As we age, “junk proteins” accumulate in our cells, making them less efficient. As more “junk” builds up, less of the cell is available to function. The result: Aging and degeneration. But ketones act as cellular detoxifiers that deep clean your cells. They help remove the “junk” (including damaged proteins, organelles, foreign bodies) from the watery interior of the cells to a special dumping ground (called the lysosome) where they are degraded. As the body seeks out protein to convert to glucose, it wisely seeks a source that is non-essential. And what is less essential to your body than the “junk” protein gumming up your cells? Not only does ketosis make for a better fuel, but it actually improves cellular function in the process! It’s no wonder a ketogenic diet has been found to improve cognitive function and is being used therapeutically for Alzheimer’s, Parkinson’s, autism and ALS! In fact, a recent study conducted at the Mayo Clinic and published in The Journal of Alzheimer’s Disease found that people on a high-fat diet had a 44 percent risk reduction for developing dementia, while those on a high-carb diet had an 89 percent increased risk! The ketogenic diet is not a “new diet”. In fact, powering our bodies and brains with a fat-rich diet is how our ancestors existed for thousands of generations. This is the diet on which our brains evolved to function best. As hunters and gatherers, it makes sense that we would feast on fatty foods and then go for extended periods without food (initiating ketosis). It also seems reasonable that with little sugar available, our ancestors derived much of their energy from ketones. Intermittent Fasting (IF): Intermittent fasting is a great way to power up ketosis, burn fat and turn on longevity genes… without modifying your routine most of the time. Eat Coconut Products: Medium chain triglycerides (MCTs) are fats found in high concentrations in coconut oil and MCT oil. These healthy fats help the body get into a state of ketosis. Eat A High Healthy Fat, Moderate Protein, Very Low Carbohydrate Diet. Around 50 grams of carbs per day is the benchmark that will get most people into ketosis. Amounts of macronutrients required will vary by individual. You can also check out “Keto-Calculator” to find your sweet spot based on your age, activity and other factors. Bone Marrow: Roast bone marrow and enjoy with your favorite meats, over sautéed veggies, or just enjoy with a spoon! Kerrygold Butter: Need I say more? Lard, Tallow & Duck Fat: Use liberally for more flavor and ketogenic-goodness. Lamb: A particularly fatty meat with wonderful flavor. Try ground lamb burgers cooked in your favorite fat for a rich delight. Pork Sausage & Bacon: My best advice? Make it in big batches so it is readily available. 75% Ground Grass-Fed Beef: Use for your Paleo “spaghetti” sauce, burgers and more to get higher amounts of healthy CLA and saturated fat. Research shows that eating the ancient diet of our ancestors – rich in healthy fats and low in carbohydrates – can help protect our brains long into our golden years. Not only can you remain sharp and spry, but do it by enjoying bacon, butter, lamb and beef! When the craving for carbs strikes, check out our low carb recipes and our Keto Paleo Dinner Rolls for ketogenic-friendly comfort food! Emily Deans, M.D. The hunt for evolutionary solutions to contemporary mental health problems. Evolutionary Psychiatry. 2. Emily Deans, M.D .Your Brain On Ketones. How a high-fat diet can help the brain work better. Published on April 18, 2011. Evolutionary Psychiatry. 3. Nam-Seok Joo, Duck-Joo Lee, et al. Ketonuria after Fasting may be Related to the Metabolic Superiority. J Korean Med Sci 2010; 25: 1771-1776 4. Patrick F. Finn, J. Fred Dice. Ketone Bodies Stimulate Chaperone-mediated Autophagy. July 8, 2005 The Journal of Biological Chemistry, 280, 25864-25870. 5. Micheal R. Eades. MD. Ketosis cleans our cells. 6. Harriet Gershon, and David Gershon. Detection Molecules in of Inactive Enzyme Ageing Organisms. Sci. Aging Knowl. Environ 18 September 2002 Vol. 2002, Issue 37, p. cp16 7. Perlmutter, David, MD. Grain Brain: The Surprising Truth About Wheat, Carbs and Sugar – Your Brain’s Silent Killers. Little Brown 2013. 8. C. Enzinger, et al. Risk Factors for Progression of Brain Atrophy in Aging: Six-year Follow-up of Normal Subjects”, Neurology 64, no. 10 (May 24, 2005):1704-11 9. Lustig, Robert H. (2013). Fat Chance: Beating the Odds Against Sugar, Processed Food, Obesity, and Disease (Hardcover ed.). Hudson Street Press. ISBN 978-1594631009. Kelley Herring, founder of Healing Gourmet, is a natural nutrition enthusiast with a background in biochemistry. Her passion is educating on how foods promote health and protect against disease and creating simple and delicious recipes for vibrant health and enjoyment. Kelley Herring – who has written 251 posts on Healing Gourmet. I would like to know more about the ketogenic diet. I’m diabetic and it seems like everything i read about on how to control my blood sugar, i get different opinions from everyone on what the best foods are to eat. It get’s very confusing AND not to mention expensive when you’re trying different things all the time. What is your suggestion for what to eat for people like me who are trying to keep their blood sugars at a safe level. Thank you. Thanks for your questions and comments. A step further would be a low carb diet, then finally a ketogenic diet. Regarding foods to keep blood sugars at a “safe level”, there is no one set answer. Some people who are very insulin resistant can experience blood sugar spikes to even relatively small amounts of sugar and carbs in so-called “healthy” fruits. As always, it is important that you are talking with your doctor about what is best for YOU based on your unique circumstances. Monitoring food intake and measuring blood sugar response is a big part of mitigating diabetes. Hi, I’m going to try this Ketogenic Diet because I LOVE bacon and sausage AND I wanted to use pure butter-not margarines and vegetable oil spreads, but for so many years its been a No-No! This diet seems easy because I eat similar to this anyway. I am diabetic and I find that my numbers are lowest when I have gone a long time without food–Im just not hungry. But I’ve been told “you have to eat small meals” when you have diabetes. That’s not normal for me. This meal plan (not a diet), seems to be easier for me to stick with. However, I did hear (on Dr. Oz with Dr. Axe) that you can’t make it a life style change because after a while it doesn’t work . . . is that true? We know cooking meats at high temperatures, grilling ,baking and roasting is carcinogenic, how then do you prepare meats and fish to avoid this? Please beware of “Look and Cook” bags – they leach carcinogens and hormone disruptors into your food. I am interested in how ketogenics can help my brain health. I had a stroke in 2009 and now have issues with my memory. I have been a vegetarian since 2010 for this reason and now I have been told that I am missing a fat in my diet. I am going on the assumption that it is coconut oil and have added that into my diet. I also use olive oil and real butter. Any other suggestions? 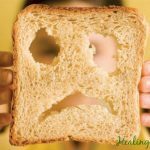 Brain Allergies: Can Gluten Make You Depressed? substitute for professional medical treatment or diagnosis. written permissions of Health-e Enterprises, LLC. 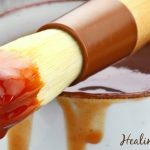 Join the Healing Gourmet Newsletter Today - It's FREE! Click the Button Below to Get Started Right Away!